Bloemfontein-based Shimlas lead the race for that last semi-final spot, sitting fourth on 17 points, but there are just three points separating them and local rivals CUT, who are seventh on 14 points. Shimlas have the easier of the final-round fixtures, travelling to Johannesburg to take on UJ, who have won just once this season and will know that their fate is still in their own hands, as a win will be enough to see them qualify for the final four. 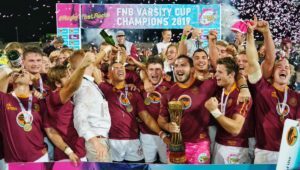 UCT also have a winnable match as they are at home to CUT, who have already exceeded expectations by claiming the scalps of UJ, UWC, and most impressively – Shimlas. 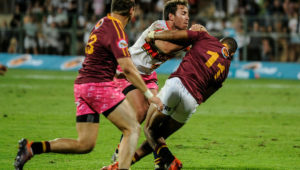 However, a trip to Cape Town to take on Ikeys, who will still be burning after letting a 26-point lead slip in their draw with Tuks, may prove too big a hurdle for CUT. Meanwhile, Wits have the toughest task as they have to beat NWU in Potchefstroom in the late kick-off to stand any chance of making the Varsity Cup semi-finals. More worrying for Wits is that NWU have named a full-strength starting lineup, including the likes of captain Louis van der Westhuizen and flyhalf Schalk Hugo, despite already booking their semi-final place against Tuks in Pretoria. In the remaining game of the round, UWC are up against Maties in a Cape derby they have to win to climb above UJ and miss the wooden spoon. 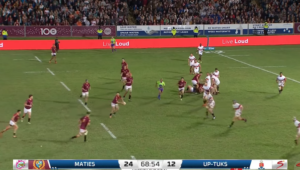 While Maties have already secured their place at the top of the standings, they have still named a strong starting lineup. UCT – 15 Darian Hock, 14 Rayno Mapoe, 13 James Tedder, 12 Robert Ball, 11 Lindelwe Zungu , 10 Jonty Bredell, 9 William Rose, 8 Nyasha Tarusenga, 7 Josh Moon (c), 6 Neil Otto, 5 Gary Porter, 4 Duncan Saffy, 3 Simon Raw, 2 Cuan Hablutzel, 1 Devon Arendse. Subs: 16 Josh van Vuuren, 17 Tomasz Rosenwerth, 18 Ntando Mpofana, 19 David Meihuizen, 20 Busanda Mabena, 21 Brandon Salomo, 22 MLiam Furniss, 23 Gerard Pieterse. 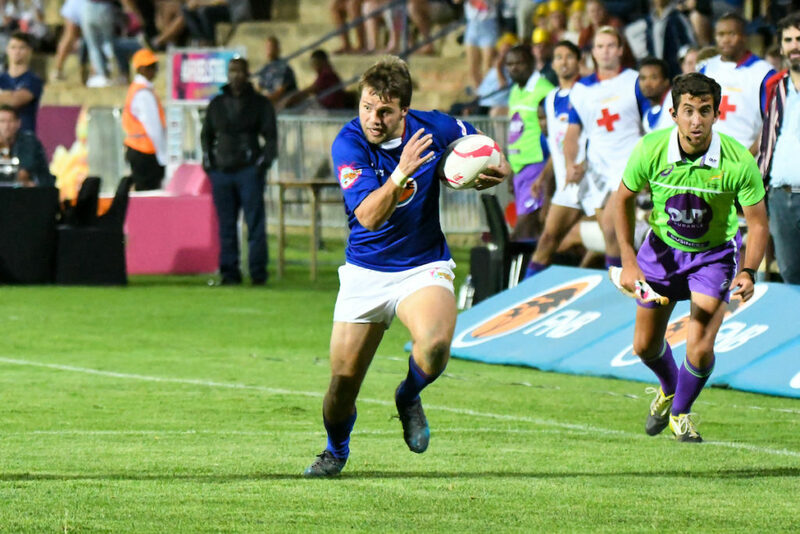 CUT – 15 Cohen Jasper, 14 Dimitrio Tieties, 13 Ruan Wasserman, 12 Marnu van Niekerk, 11 Rassie Breedt, 10 Heinrich Bitzi, 9 Johannes Hattingh, 8 Andre Hanekom, 7 Hardus Nel (c), 6 Ruan Smit, 5 Rayno Nel, 4 Sylvester Makakole, 3 Tebogo Masemola, 2 Anrich Alberts, 1 Edward Davids. Subs: 16 Ruben Cross, 17 Quintin Vorster, 18 Henco Smit 19 Brendon Fortuin, 20 Luvuyo Ndevu, 21 Jaco Wilkinson, 22 Marc Morrison, 23 Karabo Maqeba. UJ – 15 Shaun Williams, 14 Odwa Nkunjana, 13 Tyreeq February, 12 Wynand Botha, 11 Tatendaishe Mujawo, 10 Mashundu Raphunga, 9 Jack Hart, 8 Edwin Jansen, 7 Adriaan Bester (c), 6 Dian Schoonees, 5 Ngwekazi Ncusane, 4 Tyler Brown, 3 Coenrad Vrey, 2 Willem du Plessis, 1 Pierre Rabie. Subs: 16 Hloni Mphuthi, 17 Kayden Kiewiet, 18 Sibusiso Lali, 19 Jacobus Liebenberg, 20 Andre Meyer, 21 Johan Esterhuizen, 22 Siphesihle Radebe, 23 Musawenkosi Tshabalala. 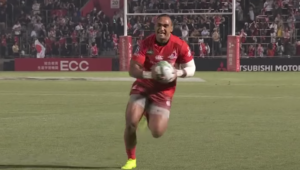 Shimlas – 15 Ruan Henning, 14 Charl Pretorius, 13 Kurt Eybers, 12 William Eybers, 11 Marnus Boshoff, 10 Lubabalo Dobela (c), 9 Zinedene Booysen, 8 Albertus du Bod, 7 Menzi Nlhabathi, 6 Jan Rossouw, 5 Sibabalo Qoma, 4 Nathan Jordan, 3 Ruan Kramer, 2 Wihan Marais, 1 Thembinkosi Mangwana. Subs: 16 Christian Wijburg, 17 John Fincham, 18 Mogau Mabokela, 19 Henk Pretorius, 20 Olehile Losaba, 21 Rewan Kruger, 22 Sechaba Matsoele, 23 Christiaan Schutte. 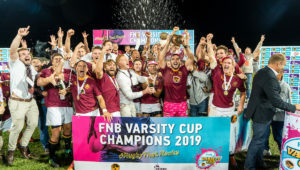 Maties – 15 Edwill van der Merwe , 14 Munier Hartzenberg, 13 David Brits, 12 Chris Smit, 11 Mike Mavovana, 10 Jordan Chait, 9 Remu Malan, 8 Stephan Streicher, 7 Johann van Niekerk, 6 Chris Massyn, 5 Johan Momsen (c), 4 Ben-Jason Dixon, 3 Piet Strauss, 2 Daniel Jooste, 1 Wayrin Losper. UWC – 15 Tristan Leyds, 14 Rohaan Adams, 13 Lubelo Scott, 12 Lyle Hendricks, 11 Andre Manuel, 10 Keagan Fortune, 9 Clayton Daniels, 8 Adrian Paarwater (c), 7 Reece Boks, 6 Bronlee Mouries, 5 Curtly Thomas, 4 Matthew le Roux, 3 Justin Theys, 2 Jacques van Zyl, 1 Luvo Bazi. Subs: 16 Luan du Randt, 17 Alexander Mbete, 18 Tyler Gessler, 19 Schalk Carstens, 20 Luke Cyster, 21 Moegamat Kannemeyer,, 22 Darren Jaftha, 23 Hendrik Calitz. NWU – 15 Shane van Rooyen, 14 Lungelo Gosa, 13 Lincoln Daniels, 12 Evardi Boshoff, 11 Pienaar van Niekerk, 10 Schalk Hugo, 9 Chriswill September, 8 Edmund Rheeder, 7 Wian Conradie, 6 Gidedon van der Merwe, 5 Jan du Plooy, 4 Johan Retief, 3 Matimu Manganyi, 2 Louis van der Westhuizen (c), 1 Tshegofatso Moloto. Subs: 16 Justin Brandon, 17 Luyolo Qinela, 18 Ebot Buma, 19 Pascal Snyman, 20 Sipho Siboza, 21 Ruan Cloete, 22 Kurt Webster, 23 Yanga Hlalu.